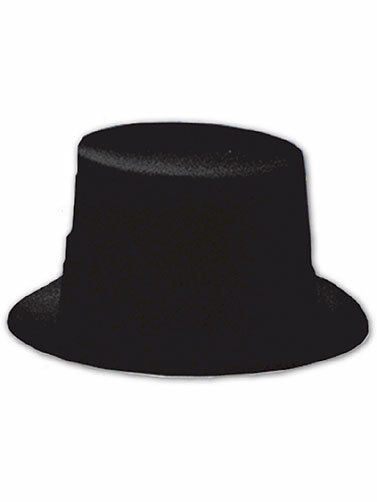 This black costume top hat will compliment a number of Halloween costumes. Plastic backed velour material. One size fits most Adults. Black Velour Top Hat measures 22" in diameter.